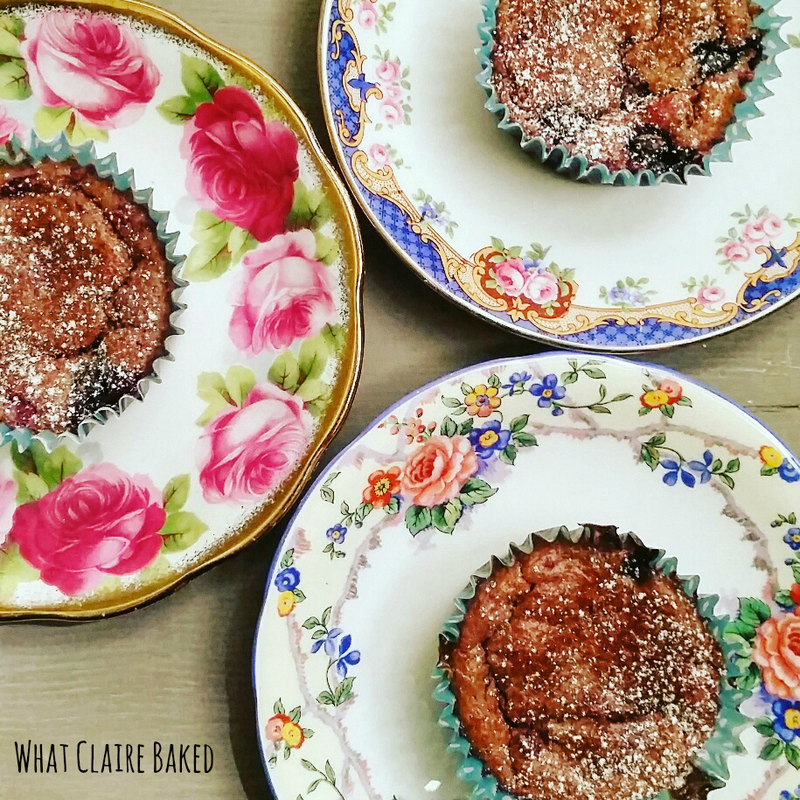 Readers, I’m still on the healthy baking bandwagon (and it’s the end of January – success). Owing to Sunday night no money what’s in the cupboard levels of boredom, I decided to do some kitchen experimenting last week. It’s the first time I’ve attempted something like this – and I think the recipe needs a little refining – so this could be a work in progress. 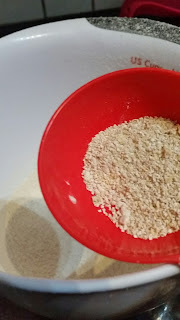 I got 8 small cake style muffins out of this mixture and it’s the first time I’ve milled my own flour so I’ll perhaps need to up the flour/try a bit less fruit and play around with the raising agent. These had a good rise in the oven but fell when they came out. (Could be something to do with a lack of stabiliser or gluten perhaps). Anyway, give this a go and if I manage to make something even better next time around I’ll update the recipe accordingly. The main thing – these are free from refined sugar, bad fats and are loaded with fruits, vitamins and home blended flour made from oats. To anyone wondering how to make flour at home: a good blender, or in our case a Nutribullet did the job. It’s not quite as smooth as a pre-bought flour, but a good sieve got rid of any tough parts which I discarded and didn’t use. I let it run for about 30 seconds, stopped and shook the mix, then milled for around 30-40 seconds. I used the milling blade (for any users of the Nutribullet out there). Relatively easy and once mixed in, you couldn’t tell the difference. I used frozen fruit this time round, but I’ll try fresh or freeze dried next time. There’s a high water content when the berries melt, which seems to have affected the overall mix. Anyway, happy kitchen experimenting and I’d love to know if these worked out for you… Oh and if they start to go a little too brown on top, pop a tinfoil hat over the top of them. Stops the tops burning as the heat is reflected back into the oven. Top tip. Preheat the oven to 180c/160c fan. Place 8 cupcake/small muffin cases into a muffin tin. Mill the porridge oats in the blender until a fine flour is created. Sift into a bowl and discard any “hard” pieces that are left behind. You won’t need this. Sift in the baking powder and mix to combine. Add the spices and pinch of salt. Mix to combine. In another bowl add the eggs, vanilla essence and milk. 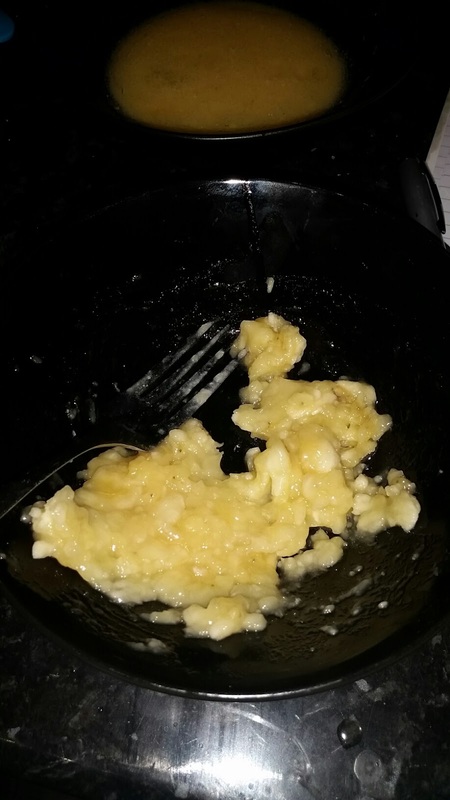 Mash the banana in a separate bowl. Melt the coconut oil in a microwave proof cup and allow to cool slightly before adding to the eggs, vanilla and milk. Add the wet mix and banana to the dry mix. Add in the fruit also. Mix until loosely combined – you don’t want to over mix the batter. Spoon into the muffin cases and place in the oven to bake for around 20 minutes. 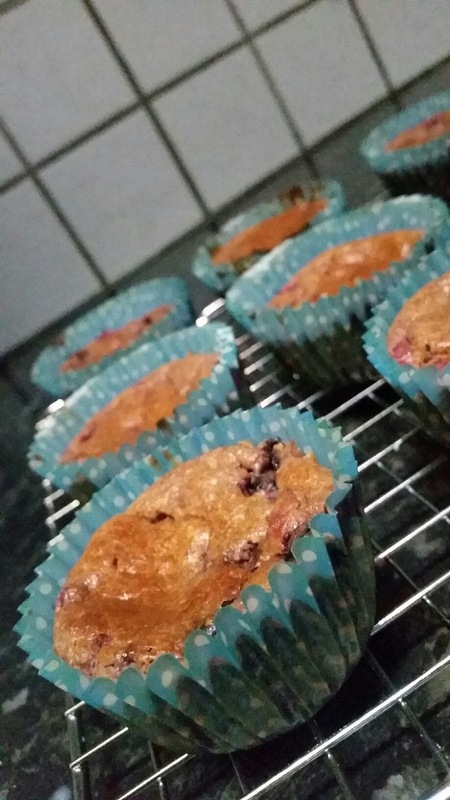 After 20 minutes, check the muffins – if they look to be going a little too dark, place a sheet of tinfoil over the top of tin and bake for another few minutes. Check by inserting a toothpick – it should have a few crumbs on it, when removed, but not wet mix. Remove from the oven and allow to cool on a wire rack. Once cool, dust with icing sugar if desired. Place in an airtight container and store for 2-3 days.